While yesterday's box office estimates indicated Avengers: Infinity War had set a new box office opening weekend record, the official numbers released today revealed the tally was even bigger, both domestically and internationally. The official domestic opening weekend for Avengers: Infinity War was $258.2 million, which was even higher than the highest projections of $255 million, with an additional $382.7 million internationally for a worldwide total of $640.9 million, which is also a new record. What's even more impressive about this foreign and worldwide record is this doesn't include China, which will be Infinity War's last international market, opening in the Middle Kingdom on May 11. Marvel is having one heck of a success with it's latest release. 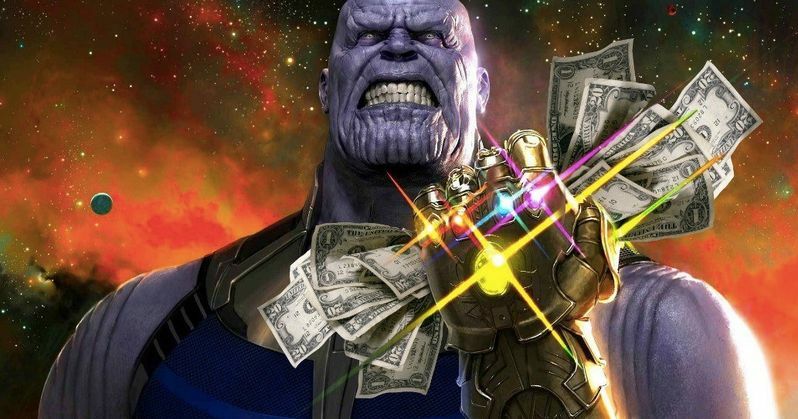 Avengers: Infinity War's domestic tally beats the $247.9 million earned by Star Wars: The Force Awakens in 2015, and the global tally of $640.9 million beats The Fate of the Furious' worldwide all time opening weekend tally of $542 million. However, the $382.7 million foreign tally is good for the second biggest international opening weekend of all time, behind The Fate of the Furious with $443 million, $185 million of which came from China alone. Despite beating The Force Awakens' all time domestic record, it couldn't break that blockbuster's opening weekend per-screen average record of $59,982, the largest ever for a wide release, with Infinity War's $57,708 coming in second place. With the movie already more than halfway to $1 billion worldwide, it may also break the record as the fastest film to hit $1 billion, which Star Wars: The Force Awakens managed to do in just 12 days. Still, that record isn't quite in the bag yet, and The Force Awakens had the advantage of kids being on Christmas break from school, to bolster weekday matinees and evening screenings, but with this simply monstrous global opening weekend, it still may break that record at some point this week, if weekday screenings prove to be strong. Time will soon tell whether or not Avengers: Infinity War will be able to break a number of the other box office records Star Wars: The Force Awakens currently has. Star Wars: The Force Awakens also holds the records for the highest second weekend with $149.2 million, dropping just 39.8% from its record-setting debut weekend, and also the record for the highest third weekend with $90.2 million, dropping just 39.5% from its second weekend tally. The good news for Avengers: Infinity War is that it doesn't have much competition over the next two weeks, with three newcomers opening in wide release on May 4, Electric Entertainment's Bad Samaritan in 1,800 theaters, Pantelion's Overboard in 1,500 theaters and Focus Features' Tully in 1,200 theaters. Those counts all pale in comparison to Avengers: Infinity War's 4,474-theater debut, the second widest release in history. The big question is whether or not Avengers: Infinity War can top the all time domestic mark of $936.6 million set by Star Wars: The Force Awakens, or the all time global mark of $2.7 billion set in 2009-2010 by Avatar. It won't face much competition on May 11 either, going up against Universal's Breaking In and Warner Bros.' Life of the Party, before its biggest test on May 18, where it faces 20th Century Fox's superhero sequel Deadpool 2. You can head over to Variety for more on the global opening weekend of Avengers: Infinity War.